Nine winoholics, or at least that’s how one sometimes feels in failing to follow the “Dry January” dictat, had a table booked at Quality Chop House on Farringdon Road for a post-Vinoteca tasting lunch (it is work, you know). As we weren’t drinking First Growths, wall to wall Burgundy, or Clos Rougeard (which you could read about elsewhere this week, and last week…, written by the wine writing giants), I thought I’d give you some notes on what we had. 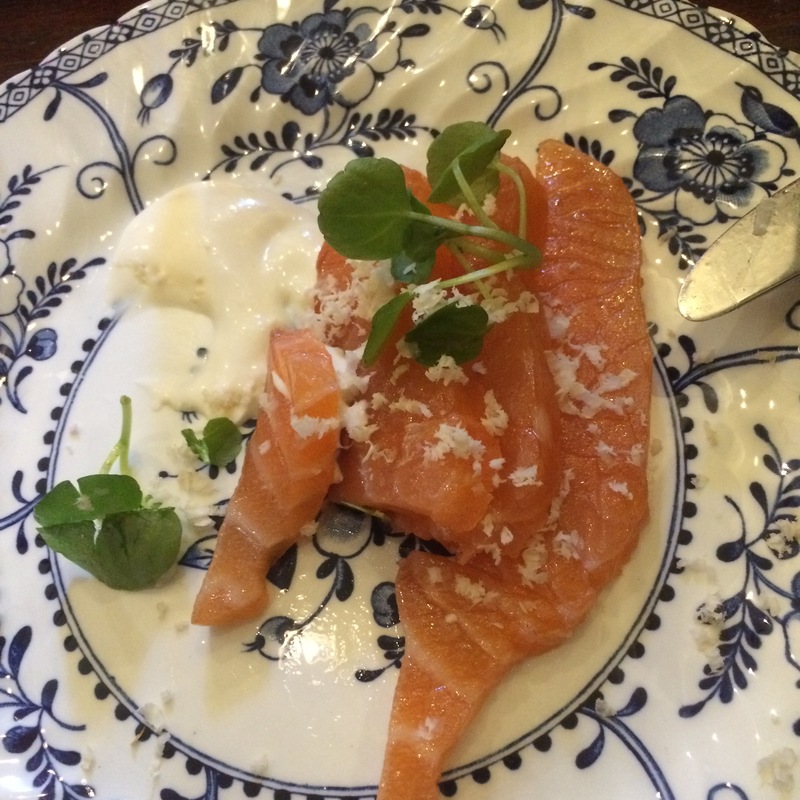 As someone remarked, it was a bit like an Oddities lunch, but without the odd wines. Nevertheless, many of the twelve bottles we consumed don’t see the light of day too often. 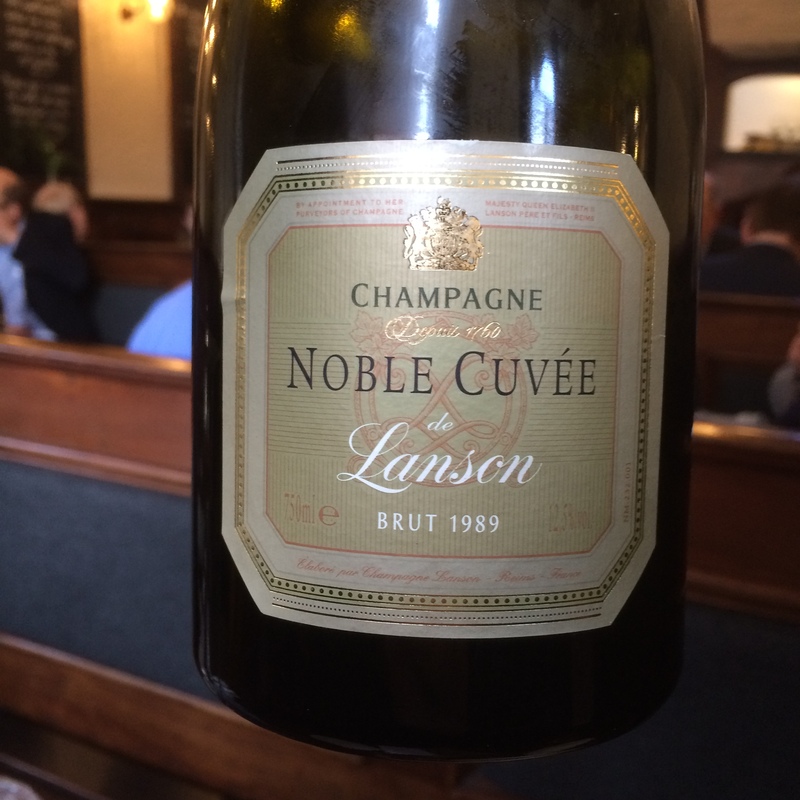 Lanson Noble Cuvée 1989 – Dark and evolved, but still fresh, quite limey. Decent acidity but real depth, drinking really well. It’s the kind of Champagne to which people apply the word “vinous”. Someone mentioned this might be available at a good discount from a UK supermarket empire, so if you are prepared to risk the bright lighting, there may be a bargain to be had? Or not. But from a good source, superb. 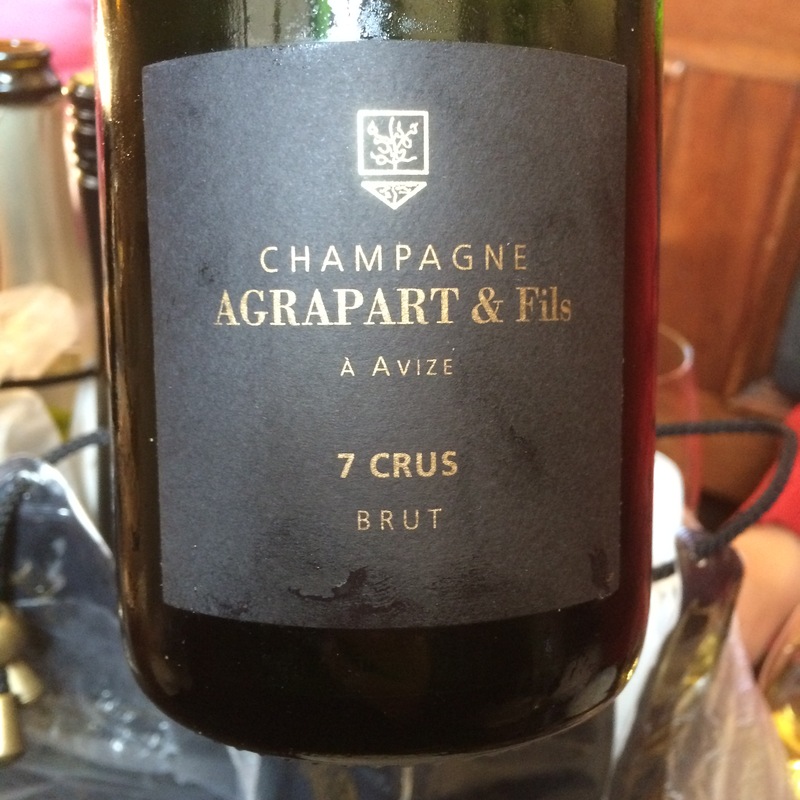 Agrapart 7 Crus – A NV wine based on seven sites, four GC and three PC. This is typical of Agrapart’s bracing mineral style. These are biodynamic wines drawn from the chalky Côte des Blancs (Agrapart is based in Avize). The wines are almost rapier-like and this lovely example provided a perfect contrast to the more rounded-out Lanson. 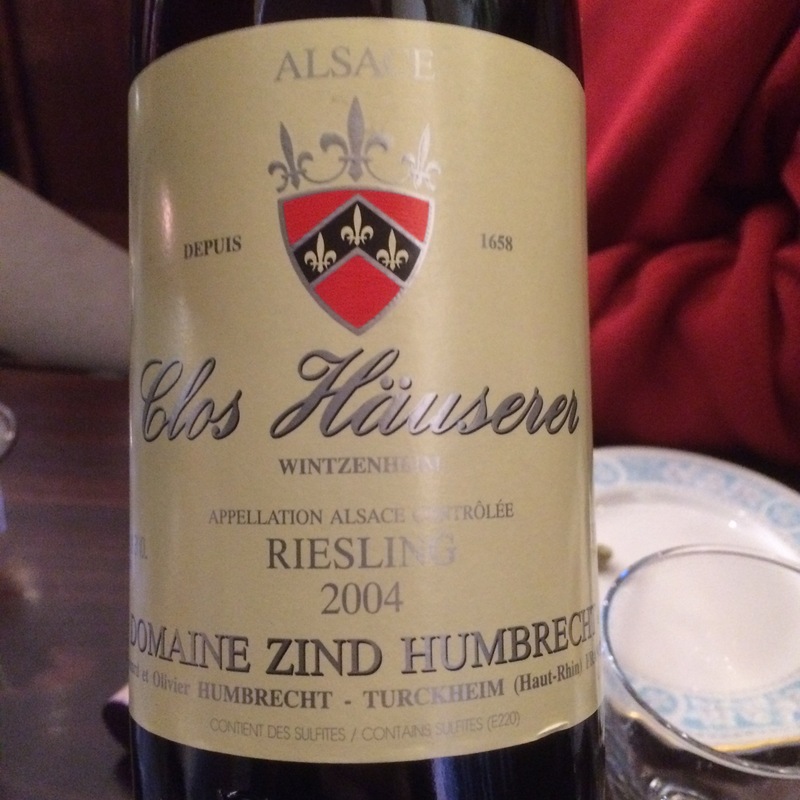 Clos Hauserer Riesling 2004, Zind-Humbrecht – One of Wintzenheim’s Grand Cru sites, the Clos being part, if my memory is correct, of the Hengst vineyard. nicely aged (I’ve had many delicious 04s in recent years) into a smooth wine with impressive length. The acidity is diminished, but it is savoury, and at a guess appearing less off-dry than it may well have done several years ago (I didn’t see the ZH sweetness indice on the back label). This went well with the “salmon with horseradish” starter some of us ordered. 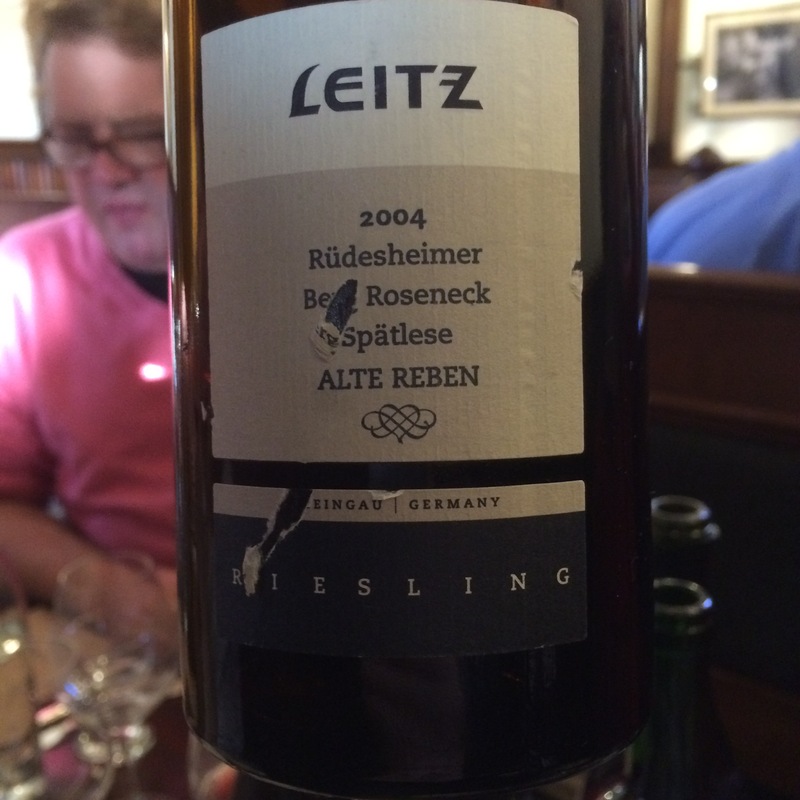 Rudesheimer Berg Roseneck Spätlese Alte Reben 2004, Leitz – This was in some ways characteristic Rheingau. Still quite a bit of sweetness, so it must have been at the riper end of the spectrum when made. Only 7.5% alcohol, another nicely rounded out wine, but in this case I was just desperate for a touch of acidity to balance the sweetness. Interesting to contrast these two Rieslings from the same vintage. ACUSP Pinot Noir 2013, Costers del Segre, Castel d’Encus – This is very high altitude Pinot, partially fermented in old stone vats dating back to the twelfth century, no less. A lovely wine from our resident Catalan expert, always guaranteed from Charles. Light, and the colour of pomegranate juice, but totally precise and great fresh fruit. He handed over some Sumoll on Wednesday (along with some oh so delicious pannage pork), and perhaps I need some of this lovely wine too. [No photo – conspiracy theorists who think I want to keep this a secret are only 25% right, though it does retail at €40]. 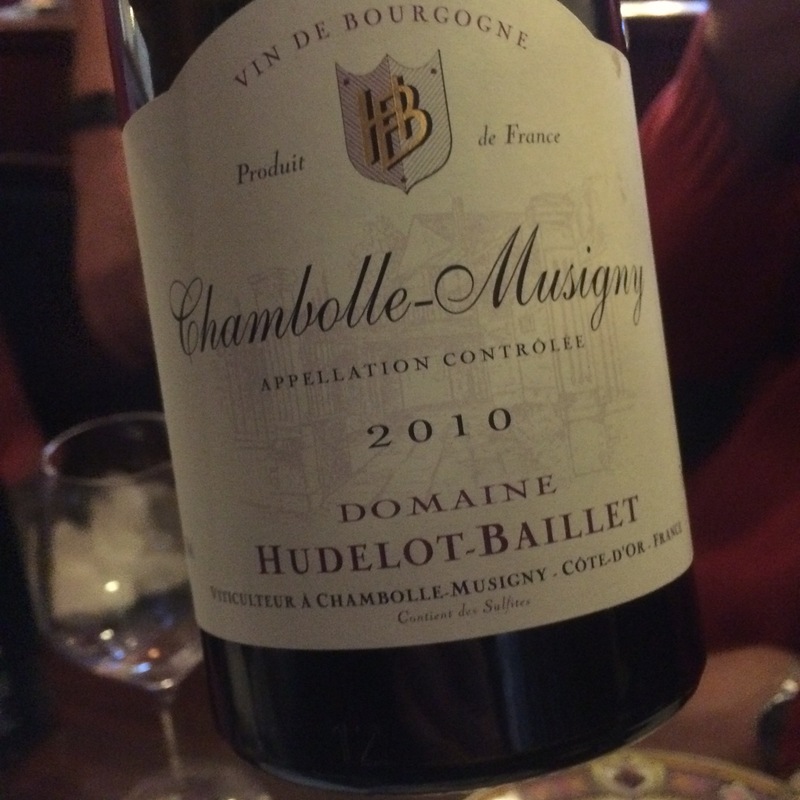 Chambolle-Musigny 2010, Hudelot-Baillet – Amazingly approachable now, more so than just about any good village wine from the Côte de Nuits that I’ve had from this vintage. I didn’t find depth and complexity, but I did find smooth fruit, some body and length. Am I wrong to think I’d glug this now if I had some? 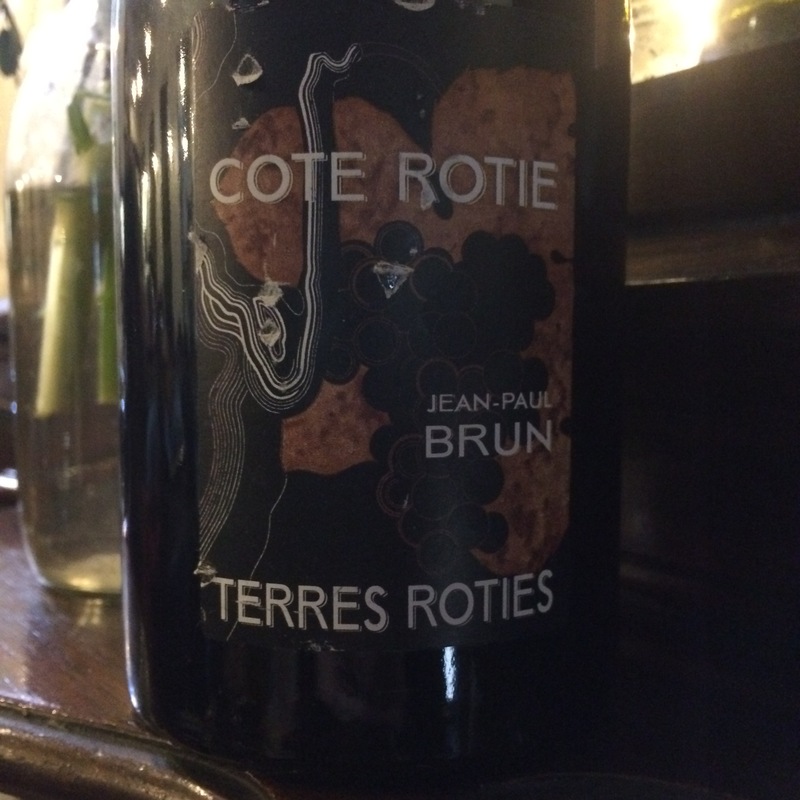 Côte Rotie “Terres Rôties” 2007, Jean-Paul Brun – I think most people could see that this was a Rôtie made by someone outside the region (many will know Brun’s Beaujolais wines), and it was in many ways the least typical version I’ve ever had. But that should not detract from the fact that this was a really interesting, and enjoyable, wine. Dark colour, dark fruit, with some spice and fruitcake, and then blackcurrant pastilles and black olives. I try to avoid strings of descriptors like that, but in this case it seems apt to let loose. Someone on my table called it “a magnum in a bottle”. Absolutely spot on, Alex! 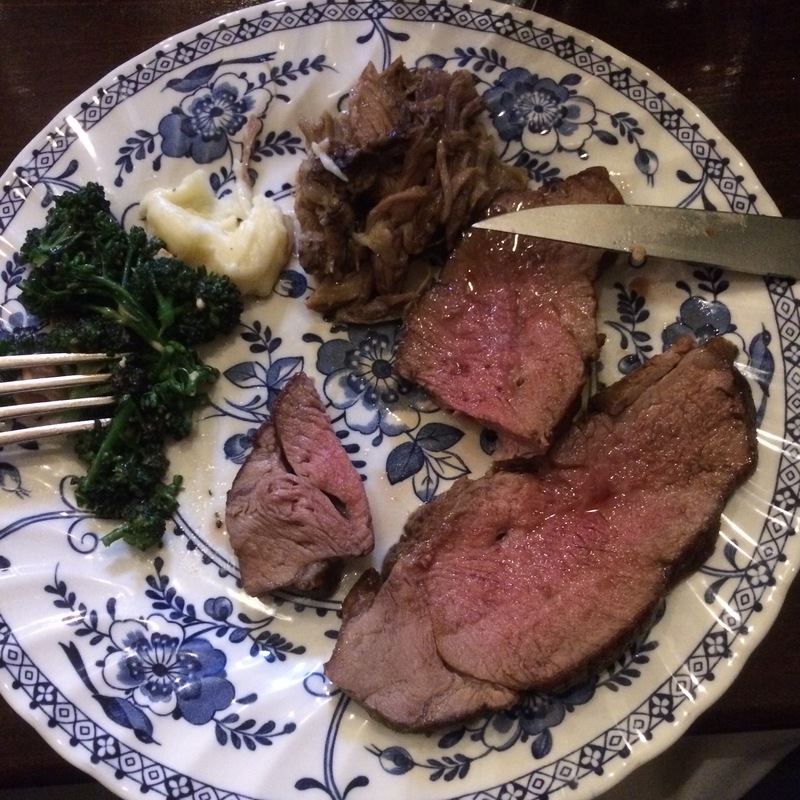 It also went extremely well with our lamb. 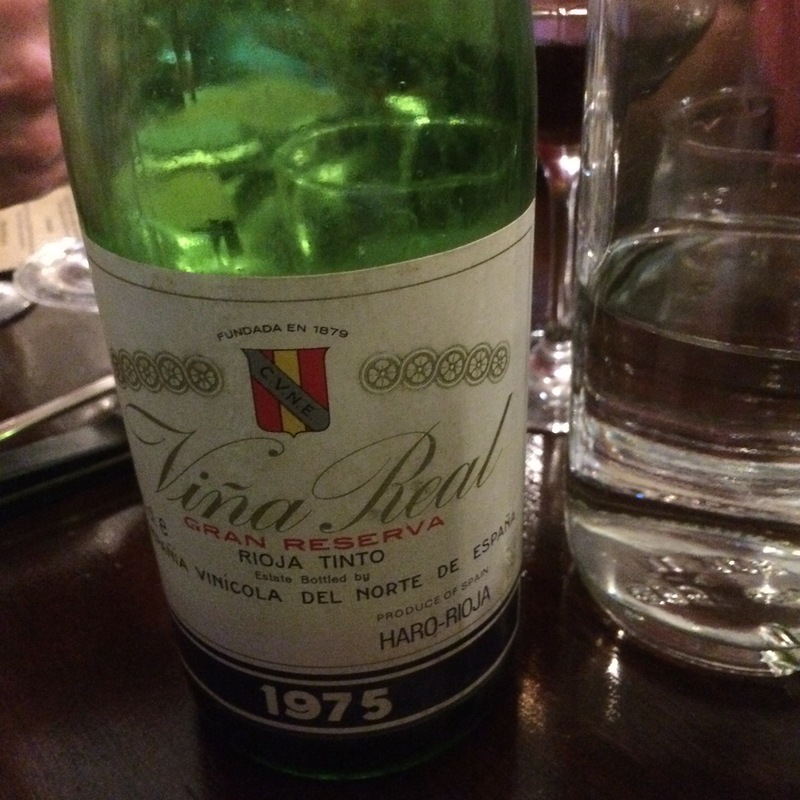 Rioja Vina Real 1975, CVNE – My note says “old, aromatic, gorgeous”. Nothing short of a treat. A few years ago we all seemed to drink cases of very old Rioja, often from Lopez de Heredia and CVNE. There seems to be less about these days, so it’s always a treat when someone delves into the deepest part of their cellar and finds one. Sometimes you can end up being disappointed where storage has been careless, but it’s always worth the risk. 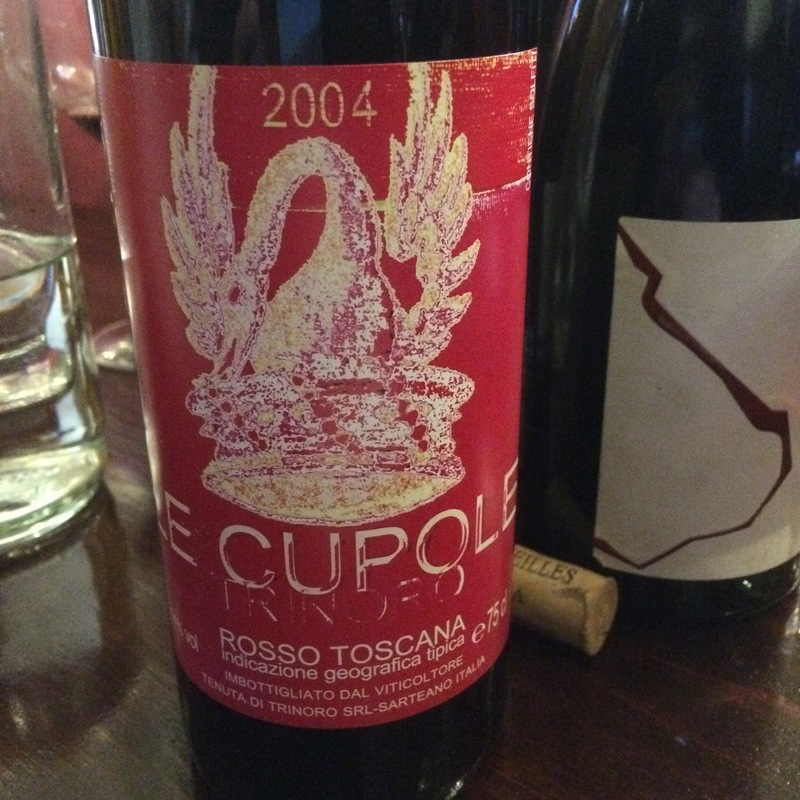 Rosso Toscana “Le Cupole” 2004, Trinoro – Another 2004, this time the Cabernet Franc based wine from Tenuta di Trinoro, based in Southern Tuscany’s Val d’Orcia. I’m not sure of the exact grape mix of the 2004, but usually it’s around 50% Cabernet Franc, plus or minus a few percent, with added Merlot at around 30%, the rest made up of varying quantities of Cabernet Sauvignon, Petit Verdot, and even Cesanese and Uva di Troia. So a real Super Tuscan. Quite brambley, though I might well not have identified this as a Tuscan wine blind. Quite resolved now, I’d say. 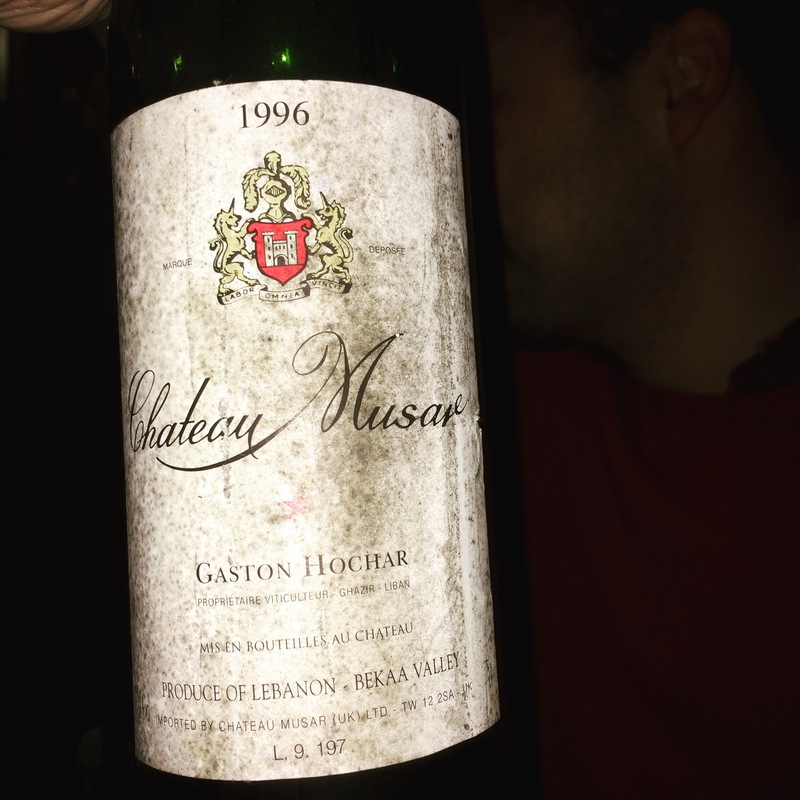 Chateau Musar Rouge 1996, Bekaa, Lebanon – There’s a bit of a debate at the moment among Musar lovers as to what the younger generation will do with this iconic red. Will they release the wines earlier than the current seven years they spend resting? Will they change the winemaking, in order to relieve the wine of its characteristic wildness? This wine, as if to send out a plea if they’re listening, was one of the real highlights of the day. Perhaps, in Musar terms, it’s still a baby. But one providing massive pleasure now whilst giving an insight as to where it might go. Lots going on here, kind of “three men in a boat”, as someone alluded to. Mellow, smooth, stupendous. No ’96 left in my cellar, which is a stark lesson to all. 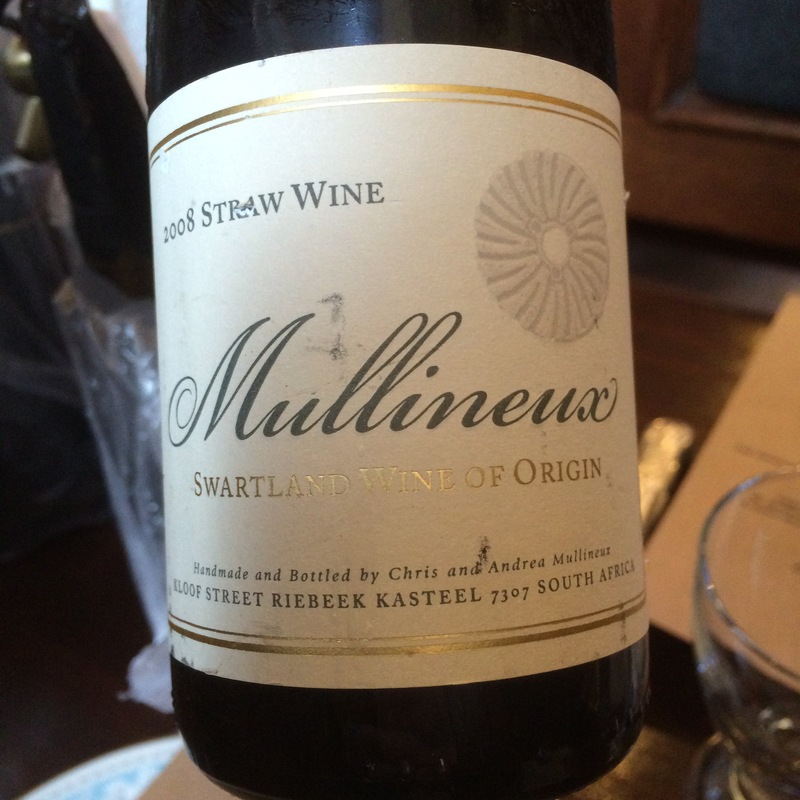 Mullineux Family Straw Wine 2008, Swartland – I think this was the first release. Like most, I drank through that original purchase, yet I kept back one half to see how it might age. For starters it was quite a lot darker than my previous bottle. No oxidation though. It’s very much in barley sugar territory. Nice, impressive even, and tasting quite strong (for its 10.5%). It did improve over time, but it didn’t match the second dessert wine I brought along. 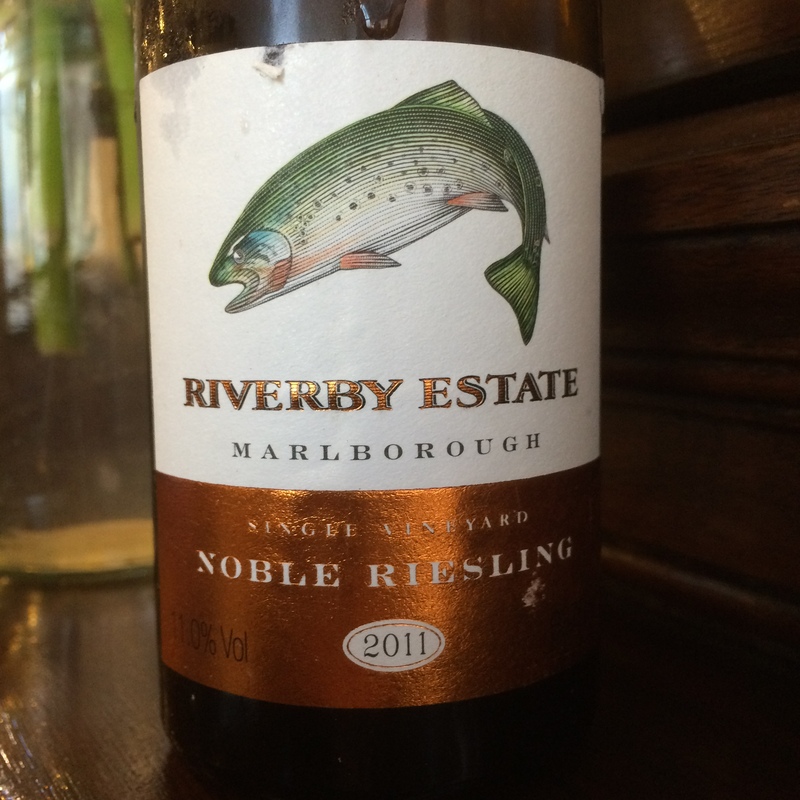 Riverby Estate Noble Riesling 2011, Marlborough – If you’ve been reading my Blog for a while you probably remember the Riverby lunch at La Trompette, and even further back, a Riverby tasting at Butlers in Brighton. I’ve met Riverby’s owner, Kevin Courtney, on a couple of occasions, and the whole range is pretty impressive for an estate hardly known over here. But although they are well regarded in NZ and Australia, their dessert wines are rightly lauded everywhere, and regularly win trophies in the prestige wine competitions in their home country. This 2011 has 11% alcohol. It tastes like honey drizzled on pineapple and sweet grapefruit, concentrated yet light and not remotely cloying. Rich, totally delicious, this is a fantastic wine by any measure. A really nice afternoon – great wines, good food and perfect company. As one man said, after a while you begin to stop noticing those hellishly uncomfortable, and tiny, benches at QCH. Feeling a warm sense of contentment on a chilly afternoon, yet retaining the ability to venture out into the cold afterwards with no ill effects. After such a great tasting as well…a perfect day (although my team went on to lose at football that night, and soon after the final whistle a taxi drove through my neighbour’s front wall – thankfully no one was hurt, other than the vehicle and the wall). This entry was posted in Dining, Fine Wine, Wine, Wine and Food and tagged Agrapart 7 Crus, Castel d'Encus, Hudelot-Baillet, J-P Brun Cote Rotie, Lanson Noble Cuvee, Le Cupole, Leitz Rudesheimer Berg Roseneck, Mullineux Straw Wine, Musar 1996, Quality Chop House, Riverby Noble Riesling, Trinoro, Vina Real 1975, Zind-Humbrecht Clos Hauserer. Bookmark the permalink.